Mahindra World City is a prominent residentialcumcommercial development on the outskirts of Chenna in Maraimalai Nagar. The project was developed by prominent builder, Mahindra Lifespaces, and offers modern readytomove 1BHK, 4BHK apartments and villas, with prices ranging from 20.06 to 66.48 Lac. Providing easy access to major commercial and civic hubs in Chennai, the property offers a variety of essential amenities like lifts, firefighting services and intercom. There are a plethora of facilities like gym, car parking, club house, sports centre, swimming pool, library, school and children's play area. Maraimalai Nagar is a peaceful residential neighbourhood located just a few kilometres from the main Chennai city. Situated off the busy GST Road, the area offers great connectivity to the major industrial, IT and commercial hubs in the city via the different transportation facilities available here. This place is perfect for those who are looking to live in a peaceful living environment away from the hustle and bustle. Due to the expansion of the city, many neighbouring areas of Chennai have become hotspots for property investors. Chennai has always been a conservative market when it comes to real estate. However, with the growing IT industry and the infrastructural development, there has been a change in the outlook of the real estate industry in the current years. The demand for both highend and midend properties have increased in the past few years, leading to the development of a number of new projects by some of the top builders in the industry. Where is Mahindra World City located? The project is located in Maraimalai Nagar, Chennai South. What apartment sizes are available in Mahindra World City? The project offers apartments sized between 581.0 sqft and 2770.0 sqft. What is total area of 1 bhk in Mahindra World City? 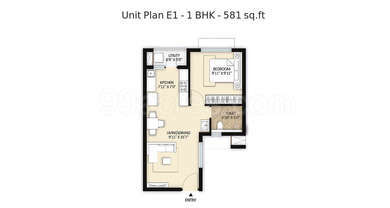 1 BHK unit in the project are available in an area of 581.0 sqft to 624.0 sqft. What is the area of 2 bhk in Mahindra World City? The size of a 2BHK unit in the project ranges from 836.0 sqft to 1008.0 sqft. What is the area of 3 bhk in Mahindra World City? Three-room units (3BHK) in the project are available in an area of 1395.0 sqft to 2770.0 sqft. What is size of 4 bhk in Mahindra World City? 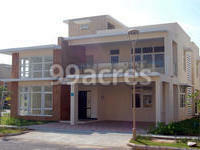 The area of 4 BHK apartments is 2300.0 sqft. f designs and architectures. Some of its landmark developments are Mahindra Lakewoods, Mahindra Lifespaces Roots, Mahindra Iris Court and Mahindra Chloris.  I have 13940 sq.ft. in Chennai Main GST Road (NH-45) for sale. Can you get a good and financially sound Customer for purchase. FOR SALE - MAIN ROAD PROPERTY - IN CHENNAI, TAMIL NADU - ENTRY FROM NH-45. Prime Vacant Land 5.8 Grounds (13940 sq.ft.) in Singaperumal Koil, Chennai, India on Main GST Road. The Site is in between Ford Motor Company and Mahindra World City. Expecting a good Purchaser. May i know the budget? we have booked a flat in Mahindra World City , chennai with booking amount , we have given a notice to cancel as we could not afford EMI due to some other issue . Mahindra is trying to deduct 10% of the total flat cost which is around 3 lakhs . is it correct as there is no agreement signed ?